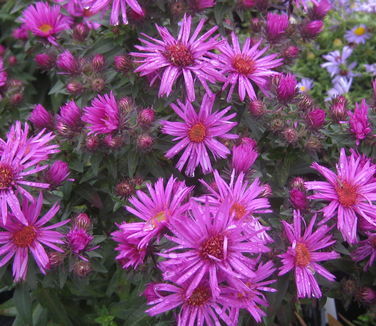 'Vibrant Dome' New England Aster is similar in habit to its parent 'Purple Dome', but is somewhat taller, with large brilliant pink flowers in August and September. 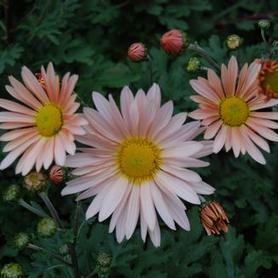 The other parent is thought to be 'Alma Potschke', and it was found in a garden as a spontaneous seedling. Introduced by our pals at North Creek (New name is Symphyotricum novae-angliae).